Today’s parents are often accused of being helicopter-ish. They are seen as hovering overhead, and protecting their young ones from any conceivable adversity. The question is being posed today, however, if all of this protectiveness is keeping our kids from learning how to face challenges and develop skills that will be important for them to possess as adults. Some tech-savvy parents are denying their kids the latest and greatest conveniences, all in the belief that by challenging their children to learn different ways to solve problems, they’ll develop more diverse skills. This can certainly be seen as a parenting resilience strategy. At the Waldorf School in Los Altos, California, the elementary school children of Silicon Valley’s technology wizards don’t use computers or ipads or even smart boards in the classrooms. Everything is old school from the chalk blackboards, to the recitation of the multiplication tables, to the art classes where students learn the fine art of knitting. The idea is to not make school easy and efficient but instead provide hands-on challenges that force kids to confront problems, both academic and social, and to find ways to solve them through their own creative process. Make dinner a tech free zone. You’ll have to put away your iPhone before they’ll even consider putting away theirs. Have them help you out in the kitchen while your making dinner. Make them do all the measuring and halve or double the recipes items. Have then write a thank you note to a friend who had them over for a birthday party or whose parents took everyone to the movies. Have a tech free family night where you play board games and make popcorn. 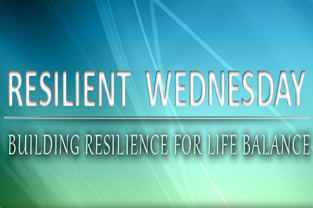 A key to resilience is being able to be flexible and adaptive in different situations. Helping your kids (and yourself) have non-tech ways of being in the world is more than a throwback; It’s a great way to round out skills.